Linda Broday’s latest is coming out this December! The final title in the Bachelor of Battle Creek trilogy, Forever His Texas Bride is sure to sweep readers off of their feet. To celebrate her new release, we’ve asked Linda to answer a “Quick Draw” either/or question and to share an excerpt with us! Dresses or skirts? I like dresses because they make me feel a lot more feminine and you can dress them up or down, depending on the occasion. Add a pair of heels and you’ll turn men’s heads in nothing flat. Book Junkiez, thanks for having me today. I’m thrilled to have FOREVER HIS TEXAS BRIDE spotlighted. I’m both happy and sad to have this book release. Happy that it’ll be in readers’ hands and sad to see the series end. I’ve loved writing about these men who as boys declared themselves brothers by the light of the moon. I truly think I’ve saved the best for last. Brett Liberty’s story is so full of raw, gritty emotion because of his tragic past. I think of the three brothers he was the most wounded. I was very happy to give him a love that refused to die. Rayna Harper was perfect for him. Thanks again for allowing me to come and tell readers about this new one. Have a wonderful weekend. You are so welcome. 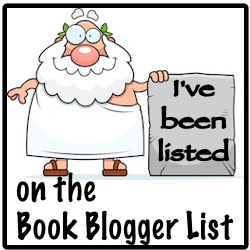 I always love to have Authors stop by and let us know about there new releases. It is such a pleasure to talk with the Authors. I cannot wait to see what you will have for us next.